TSR DESIGN together with FLORIAN LEGNO S.P.A. are glad to present their own registered logo FLO.TERMO identifying a new range of wood products such as timbers, decking and flooring, which are treated in the thermo kiln rooms and suitable especially for outdoor spaces. FLO.TEMRO can suit to many different uses for both interiors and exteriors. It perfectly fits in extreme uses such as coverage of boats and piers, dockings and all kind of terraces. Furthermore it does not contain toxic substances. 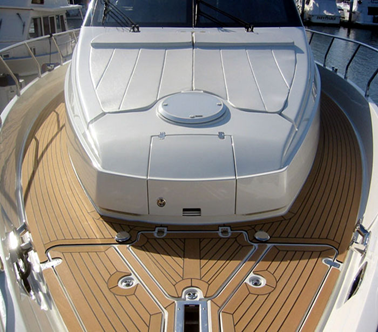 The deck of the most beautiful boats is traditionally covered with teak wood. 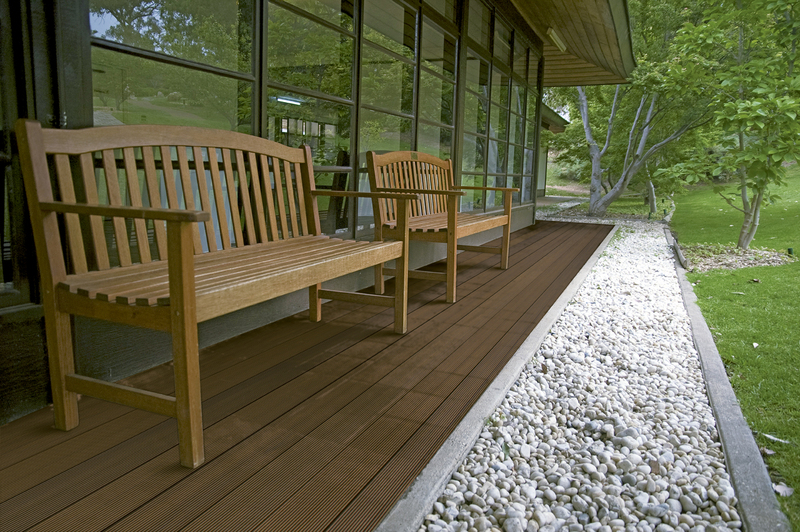 FLO.TERMO represents a good alternative to teak in all uses and it is economically cheaper. We do recommend to treat the wood surface with specific oils. These oils will improve the “anti-slip” feature of the wood since the moisture content will remain low. On the FLO.TERMO wood it can be used the same oil as the one for teak. The color of FLO.TERMO is very homogeneous though all wood layers and it returns to its original shade just sanding the surface. If it is used rough, the exposition to UV rays will cause a silver patina, as it would happen on any other wood species. FLO.TERMO is an environmental friendly product. 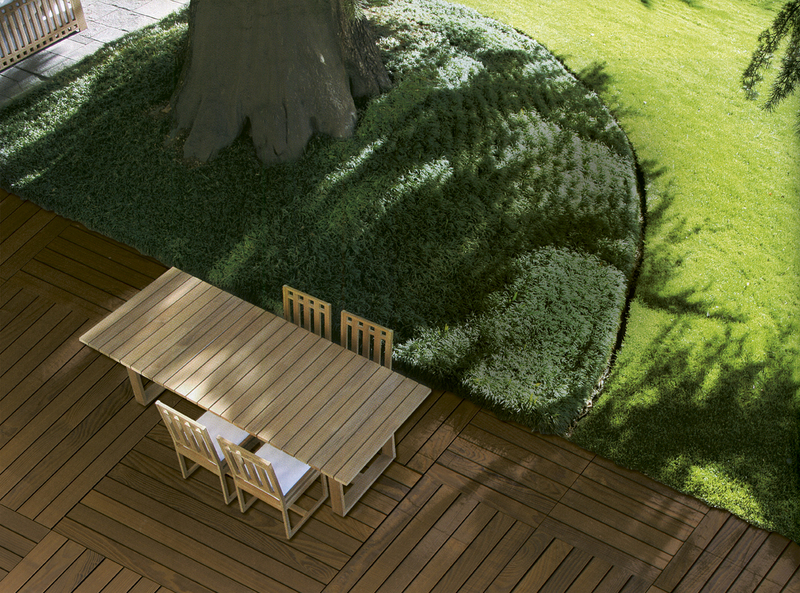 The widespread and growing environmental sensitivity leads very often to choose FLO.TERMO as a substitute of teak wood. 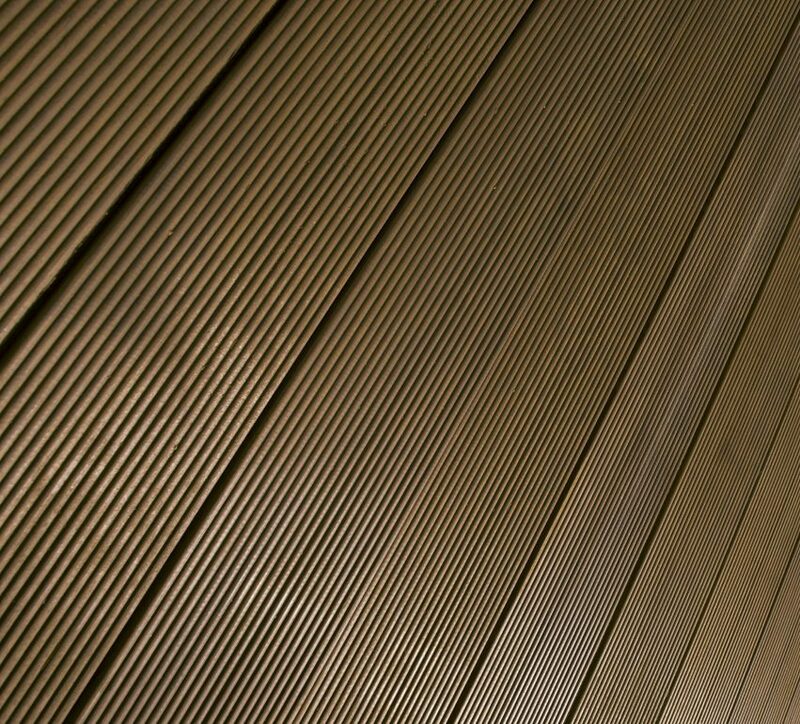 In fact FLO.TERMO is produced by wood species like OAK and ASH which can be easily supplied from FSC certified forest. This certificate guarantees an eco-sustainable exploitation of forests, without illegal cuts and sweating of the workers involved in the processing, from the cut of the trees until the final product. Outdoor space remodeling and planning is as important as the work for indoor space. 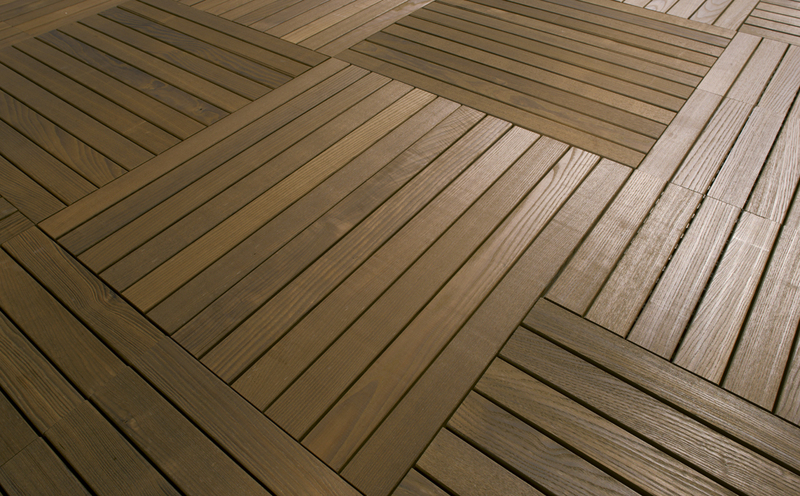 Decking tiles are a simple and affordable way to update your outdoor space. 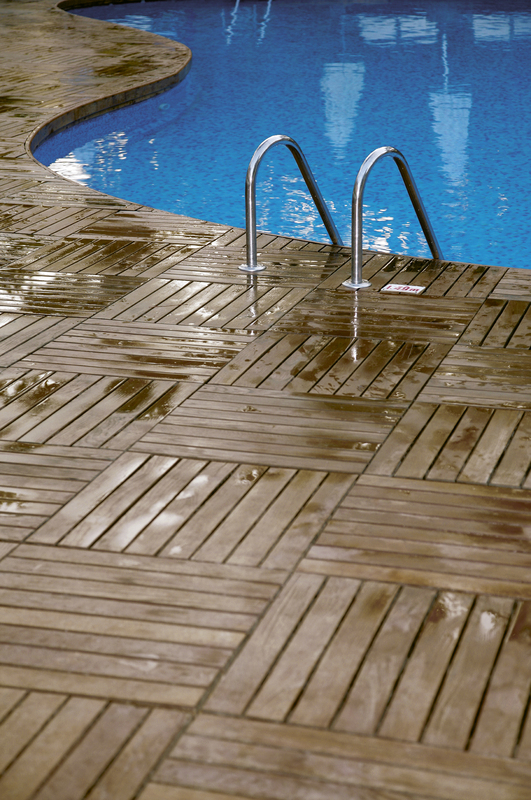 TSR DESIGN offers two hardwood deck tiles to choose from: THERMO OAK & THERMO ASH. Using the same innovative “burning” wood process as per the NATURALLY DARK COLLECTION, the wood becomes more hard and strong and less sensitive to weather and moisture conditions. 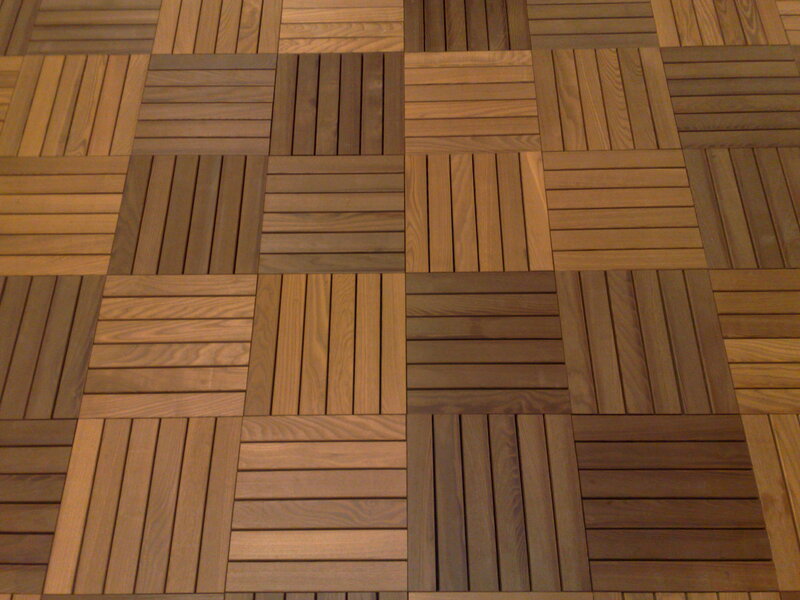 This is all the advantage of the classical TEAK hardwood, but much more affordable although equal beautiful. 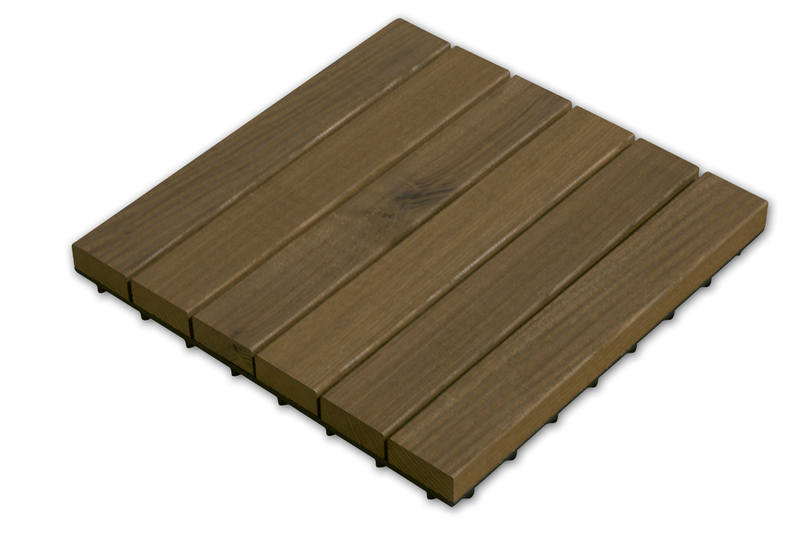 Our modular decking tiles can be used to cover cement patios and walkways, incorporate into landscaping and are easy to install over existing wood surfaces. It is really easy to install. 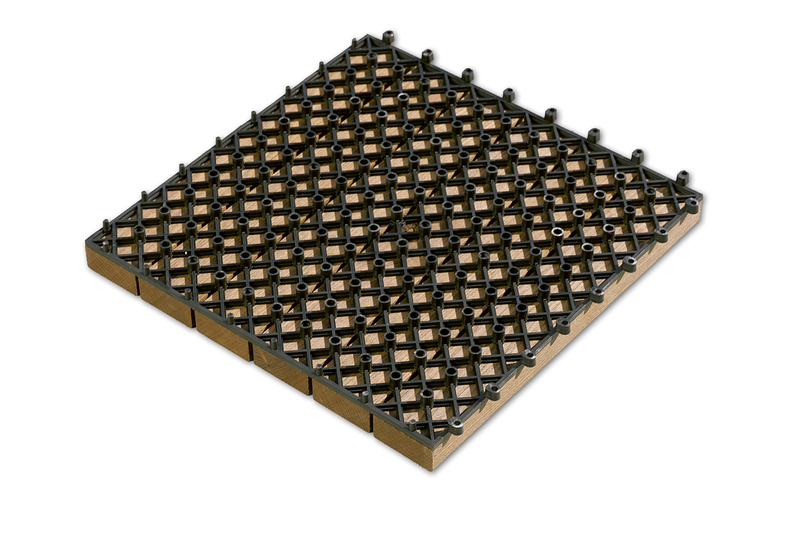 Decking tiles are assembled with stainless steel screws. The tiles come with the I-connect, a durable plastic connection system that is easy to cut to fit any configuration. The system is easy and quick, a product that can be used by both professionals and homeowners.